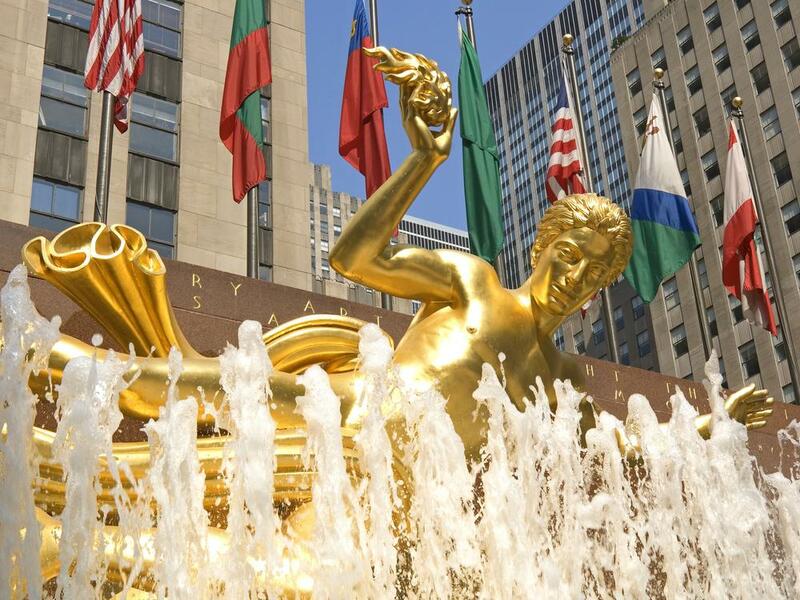 In August, live performances at Rockefeller Center caught the world's attention. For the Today concert series, Aerosmith rocked "Sweet Emotion" right in front of Prometheus, while Janelle Monae electrified with "Make Me Feel," "Tightrope" and "I Got the Juice." Comedian John Mulaney talked about his Emmy-nominated special filmed at Radio City, and the challenges and rewards of a performing solo at the legendary venue. The lottery for tickets to Saturday Night Live (heading into season 44) kicked off August 1 and wraps up August 31. SNL actually makes a unique cameo in Bradley Cooper's upcoming remake of A Star Is Born, featuring Lady Gaga in character, onstage at Studio 8H. Lastly, we mourn the passing of Aretha Franklin, whose indelible voice lives on. She graced many of the stages around Rockefeller Center over her amazing career, and Radio City was honored to provide the backdrop for some of her most stellar shows. Janelle Monae, Josh Groban and others spoke about the deeply meaningful impact of the Queen of Soul.